It’s the week before Spring Break and you know what that means: packed gyms. Escape the crowd and try something new with these fun group exercise classes right here in the Magic City. Working out in a group can be just what you need to shape up right before your hit the beach. Try out one of Birmingham’s free fitness classes at Railroad Park. Pick and choose from a variety of classes including Zumba, yoga and even boot camp. Test your balance and strength while being suspended four feet above ground in a trendy workout. 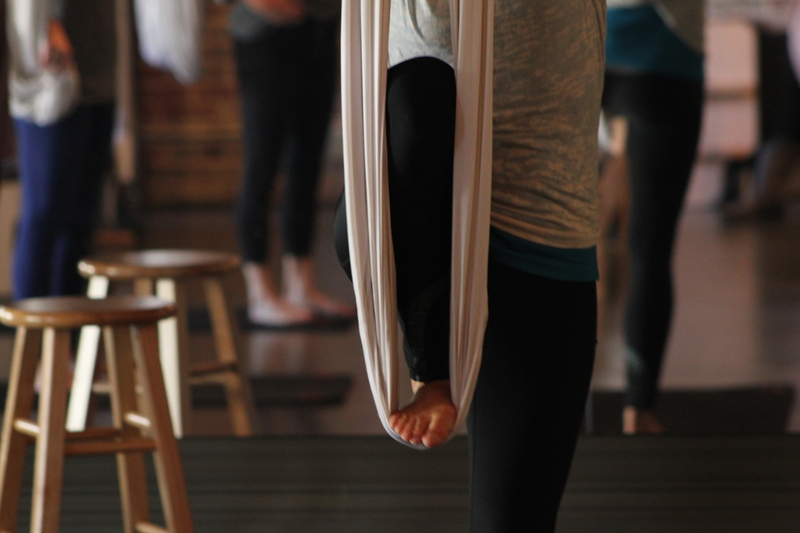 Try either Aerial Pilates, a combination of Pilates and aerial performance, or Aerial Yoga, which blends elements of traditional yoga with the unique conditioning of the aerial arts. No prior experience is necessary. Release your inner ballerina while working up a sweat in this ultra demanding 55-minute workout of isometric strengthening, stretching and balancing. Each class focuses on achieving a full-body workout and concentrates on combating your trouble areas. This workout is not just for women, either. Instructors and clients welcome men to challenge their bodies to lift, tone, and burn at the Barre, too! This isn’t just a leisurely bike ride. This is an energetic, indoor cycling studio unlike any other. Take your fitness to the next level with an intense instructor-led cycling session that will surely make you sweat. Best part? Your first class is free! Work your entire body while toning your muscles, reducing stress and increasing flexibility and balance. Stop in for the Hot Soul class, which takes you through a serious of poses that systematically work every muscle in your body. Ideal for a beginner, the class will emphasis form and correct breathing.